Next post: Running too fast makes you … tired. There are days I don’t think much about raising a child with a disability, and there are others that it seems overwhelming. I’ve written about a few of each of these kinds of days, I think, but today’s is going to be in the latter camp. It’s funny: most posts I see online now that address Down syndrome are those “they are very special” or “they have impacted our family and others,” etc. etc., inspirational kind. And they’re generally lovely and inspirational. At the same time, there are certain realities that come in between all that (just as with all child-rearing: the highlights are worth writing about, the so-crazy-they’re-funny-in-retrospect moments are worth a blog post, but the everyday stuff in between gets glossed over). 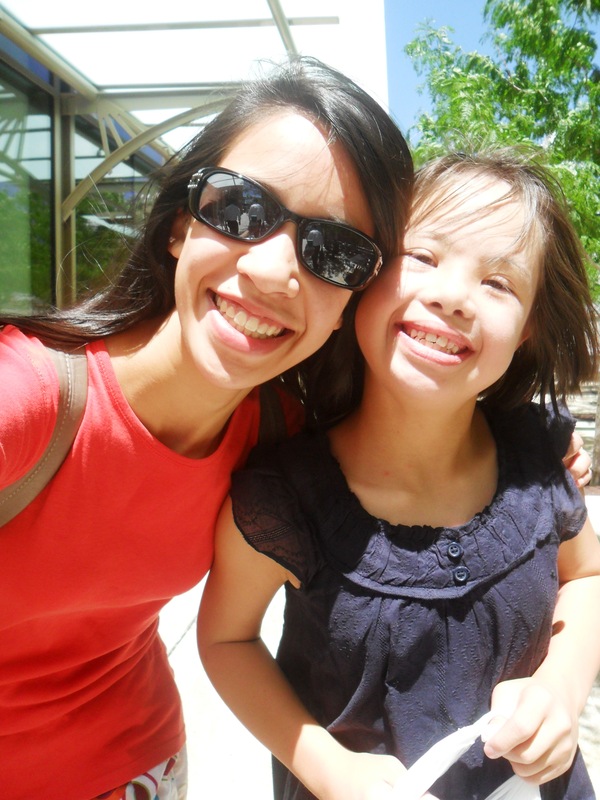 In my case, as the mother of a 15-year-old daughter with Down syndrome, I have learned that there can be many, many moments of frustration and some embarrassment. Here’s the thing: people with mental and emotional disabilities have a much more difficult time learning the social niceties. We take for granted that all of us after a pretty young age “get” the “rules” of appropriate behavior in our particular culture. But those who don’t “get” them stand out pretty starkly. Toddlers are excused from these rules, though their parents may smile ruefully. And, yes, people with obvious disabilities are kind of “excused” from the rules as well, or at least those who are mostly kind and observant are fairly understanding and downplay whatever’s said or done. But a toddler learns quickly and grows out of that stage and becomes another person who expects others to follow the rules. My teen hasn’t grown out of that stage. She’s 15 now and still kisses people when she shouldn’t, pokes their belly buttons or other body parts, and shares all kinds of information that we deem to be private. Since she’s a young woman now, she has been menstruating for about a year or year and a half. That means we had to deal with her grasping the concept that she would bleed on a regular basis and it isn’t something to worry about. It also means we get to deal with her fluctuating hormones and moodiness, which isn’t quite as easy to explain or help her understand. And it means that she will say to anyone that “she has her pad.” Aiiieee! Whereas most teen girls would be mortified for anyone to know that they are having their period, even though chances are a quarter of the females around them are experiencing the same thing, mine is perfectly fine with declaring that information in any mixed company. Here’s the patient older sister with the 15-year-old. Another issue: 15-year-old either insinuates herself between sister-and-boyfriend and exchange-student-and-boyfriend when they’re sitting or standing next to each other and possibly holding hands, OR she tries to push the two apart, even smacking the guy around a bit. Gah! I’m just hearing about all this secondhand, mind you; my 17-year-old is the kind and patient soul who is having to experience it firsthand regularly. I think you can imagine how appalled I was to hear that. First, I don’t think the child has any idea what she’s talking about. Second, we are comfortable with the topic in the right conditions, but this isn’t one of them. I then found out that the youngest said she’d heard it from her sister. That would be the 15-year-old. All I can guess at this point is that she’s heard kids at school talk about the topic in some fashion, because high school students do talk. She somehow then shared that topic with the youngest, and the recipe for an embarrassing and frustrating incident was created. We’ll be having a chat with the 15-year-old and 6-year-old to talk again about what’s appropriate to say in public. The youngest was told this briefly by the lady at school. Here’s the problem: the 6-year-old probably won’t talk about that again. But the older one will. With all of the above incidents, we have said OVER AND OVER and OVER … AND OVER … and over… you get the idea… “Don’t say ________ around other people.” Or “don’t touch other people. Hug and kiss your family and maybe hug some people, but DON’T TOUCH THEIR BODY PARTS.” Or “don’t bother Sister and Exchange Student while they’re sitting/standing with their boyfriends.” It’s not that we’ve avoided the topics or just said these things a few times. We must mention them several times a week. I just don’t know if it’ll ever sink in. Nope, these are the things we don’t read about in the sweet, inspirational blog posts or the news stories about a girl with Down syndrome being crowned prom queen or the boy with Down’s being allowed to make a touchdown in the football game. Those moments are ones their parents will cherish forever, I am sure. But the thousand, million, other moments of real life are likely much like the ones I’ve just chronicled. Parenting is tough. It’s rewarding. And parenting a child with a disability is even tougher and sometimes even more rewarding. I think I’ve mentioned before that it’s getting more interesting and challenging the older my daughter gets. I guess we’ll see just how much more so, but I’m hoping the teen years will be the trickiest. We’ll just have to wait and see.